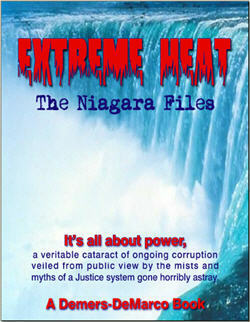 Coming this spring 2010, read the fascinating exploits of Mark DeMarco and his never ending trail of finding injustices here in Ontario. Get a taste of how it all came to light by reading Chapter 1 (click on picture to display first chapter in PDF format). Here is an interview with the author Mark DeMarco.